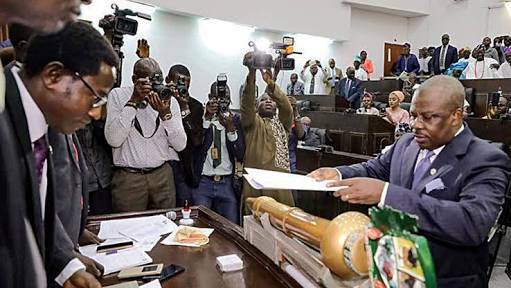 No fewer than 26 lawmakers from the Ogun State House of Assembly have defected from the All Progressives Congress (APC) to the Allied Peoples Movement (APM) in a bold move. The aggrieved aspirants backed by Ogun State Governor, Ibikunle Amosun, had claimed that the mandate given to them during October 7 legislative primary of APC was stolen by the national leadership of APC. National Chairman of APC, Adams Oshiomhole of “perpetrating another evil” in Ogun State barely few days after his “candidates” were not given Candidates Form (CF001) at the expiration of submission of candidate’s names to INEC. It was gathered that the aspirants would be joining Amosun’s anointed candidate, Adekunle Akinlade who had equally defected to APM last Thursday, having lost APC governorship ticket to Dapo Abiodun. Daily Trust reports that two serving Commissioners, Dayo Adeneye (Information and Strategy) and Modupe Mujota (Education, Science and Technology) were among the defectors.